Large imprint area for your logo with a popular ombre finish that catches the eye. 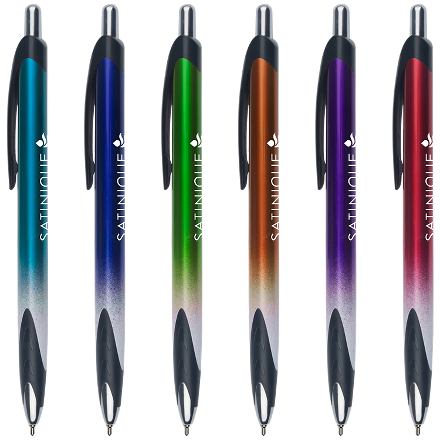 This pen comes with a Super Glide refill that provides an exceptional writing experience, delivering consistent ink flow and smooth fine writing line. Black clip and grips with silver accents. Black ink. Delivered in 2-3 weeks for orders of 1001+ pens. Imprint Area: Large 1.75" x .75"